When I first started learning about quadcopters and starting to fly them, there were two options that seemed the obvious choice for learning how to fly well. It was either buy a Hubsan X4 or a Blade NanoQX. Initially, I went the Hubsan route, but the Hubsan flight controller does not support “acro” mode of any kind, so you’re limited to only learning to fly in angle and advanced angle mode, which means that you can only ever hover around. No flips, no intense acrobatics, and no way to improve your acro piloting skills. 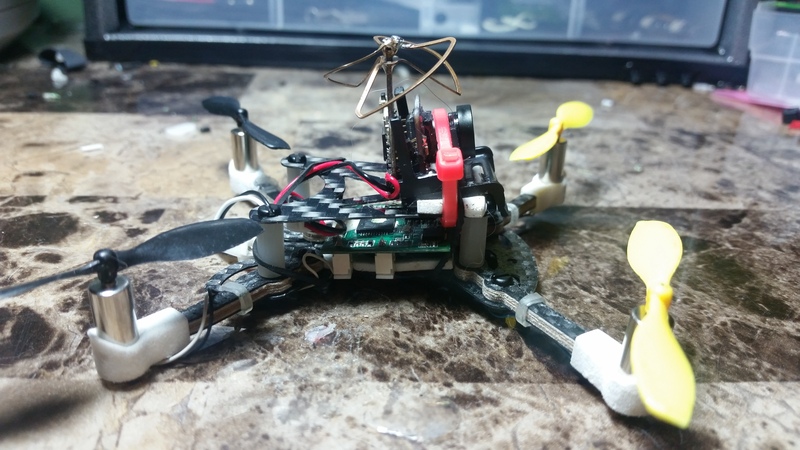 A few months later, I had built my first 250 quadcopter, tried to fly acro LOS, and realized that I simply couldn’t do it. It’s HARD to fly acro mode LOS. As a result, I decided to purchase a RTF Blade Nano QX to learn how to fly better without risking damaging my 250 miniquad rig just to learn. And learn I did! I spent hours learning how to fly my NanoQX. According to FlightLoggr I have over 5 hours of throttle time with the NanoQX, and I’m sure that’s a low estimate because I haven’t logged all of my flights with it (shameless plug for https://flightloggr.io, a flight logging application that I’ve been working on for about a year). But, when I started to master it, and I started to get well into FPV flight with my miniquad, the toy-grade Hubsan and NanoQX started to fall to the wayside and gather dust on the shelf. After a while, when bad weather, rain, snow, or even dark got in the way, I would find that I still had a craving for FPV! So — what should I do? 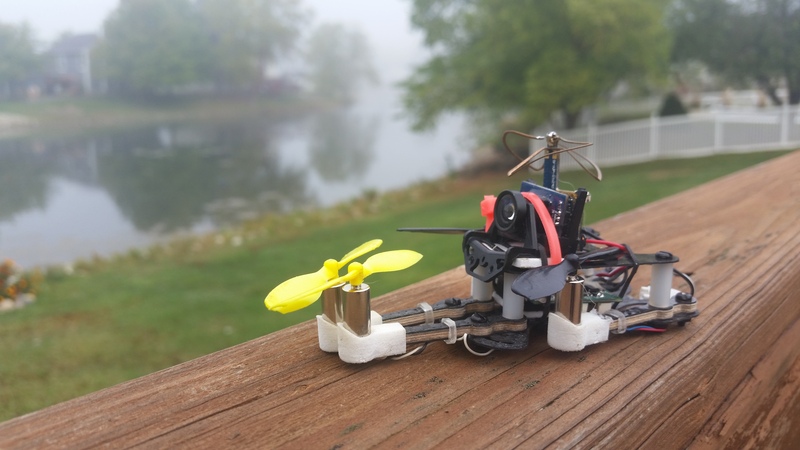 Build a quad that my wife will let me fly inside, where I can control the weather and the light. 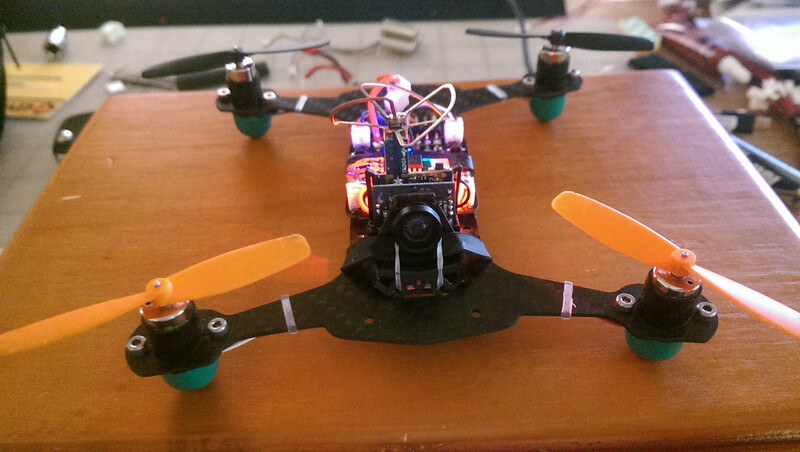 But — the NanoQX that I bought was not an FPV one, so I had to make it one myself! This is the copter all folded up. Not particularly useful feature on such a small quad, but it helps protect everything. This is the full frame, all built up. 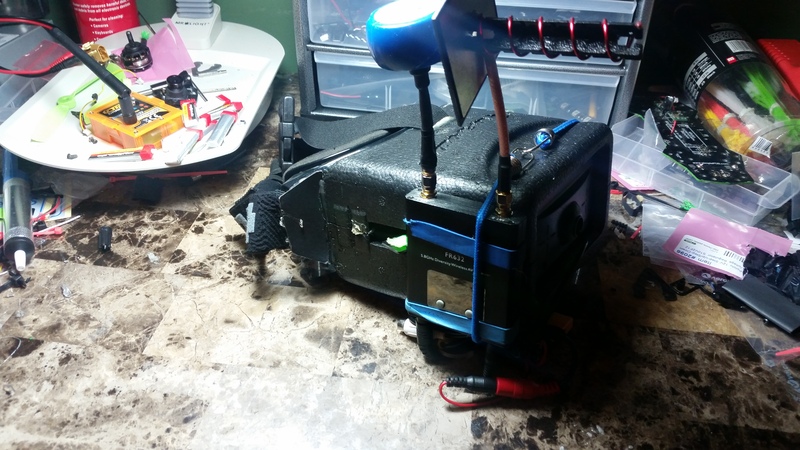 The FPV system that I chose to use was the VA1100 VTX/Camera combo that is sold by Blade. It has recently been marked down by 25% from $100 USD to $75 USD, but it’s still spendy. I actually bought the FPV Vapor, a crappy little 3 channel plane that they sell for $60 USD when it was on sale, and that was an amazing deal. Is it worth $75 USD? I’m not totally sure that it is. However, it’s a no-nonsense way to get into micro FPV that isn’t fiddly at all. 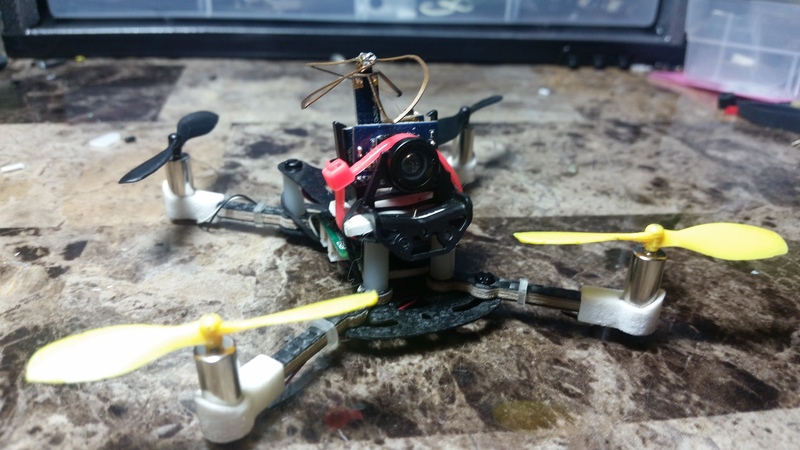 All I had to do to set it up was solder the power lines from the VTX/Camera into the same place that the battery plugs in to the flight controller, and that was that. No messing around. Just solder it in, plug in the battery, and you’re good to go. The only thing that I don’t like about this VA1100 system is that the antenna is very fragile, as I’m sure you’ve read elsewhere. And, especially with this frame, it’s mounted waaaaaay above the frame so it will often take a pretty big hit. That being said, when one of the arms of the antenna have broken and popped out of the solder joint at the top of the antenna, it’s been a fairly simple process to just solder it all back together. OR I will (2) use my DIY hobby king ghetto goggles. You can see a post ALL about my goggles setup over here. The next step in my master plan was to upgrade the motors. To find micro motors, there’s only one place to turn. Micro Motor Warehouse. Benedikt over there just has the greatest customer service and amazing products. The CL-0615-14 “Fast” motors are upgraded motors for the NanoQX that you simply have to plug in in replacement of the stock ones that come with the nano QX. In my guesstimates, they doubled the power output of the quadcopter overall, and allowed me to carry the FPV pacakge with relative ease. 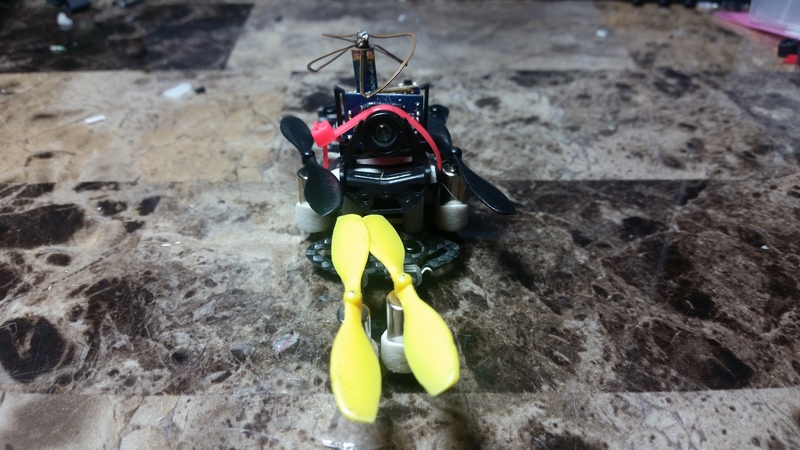 Micro Motor Warehouse has a lot of cautions about using them, including installation instructions and the fact that they don’t like to work well with horizon and angle mode on the NanoQX (starts to get a little bit jittery), but in my experience these cautions have been overstated. It just flies great with them. Once again, credit to Micro Motor Warehouse for having the best products available for this. 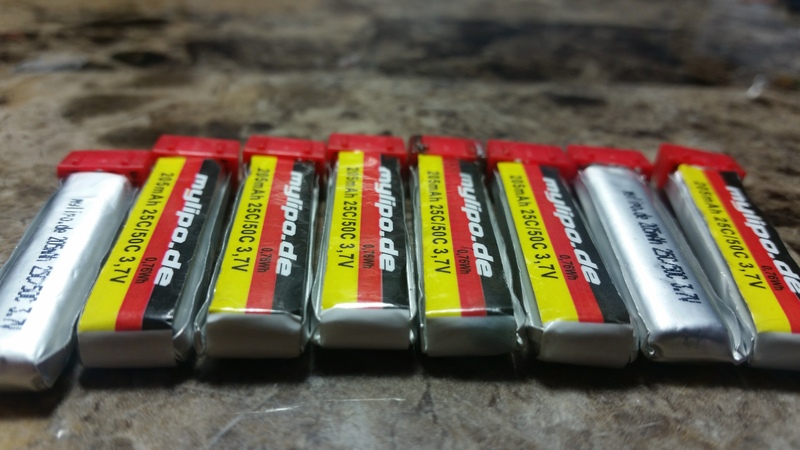 They stock the MyLipo.de batteries, which are regarded by the community as the best micro motor batteries available. They make some with the form factor and weight to fit the NanoQX. These 25-50C 205mah 1S batteries are absolutely crazy. 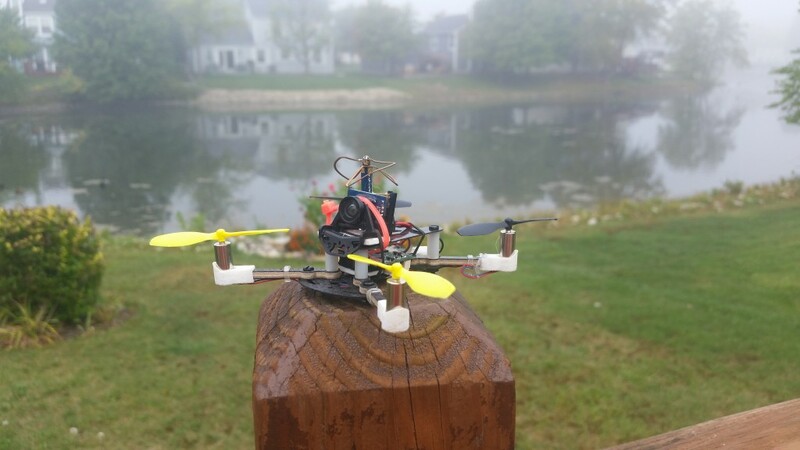 I can get between 3-5 minutes of very aggressive flight on them, even with the added extra weight from a bigger battery, compared to the stock nano QX battery. I never even pull out my original NanoQX batteries any more because they just can’t compare to the raw power that these MyLipo.de batteries provide. 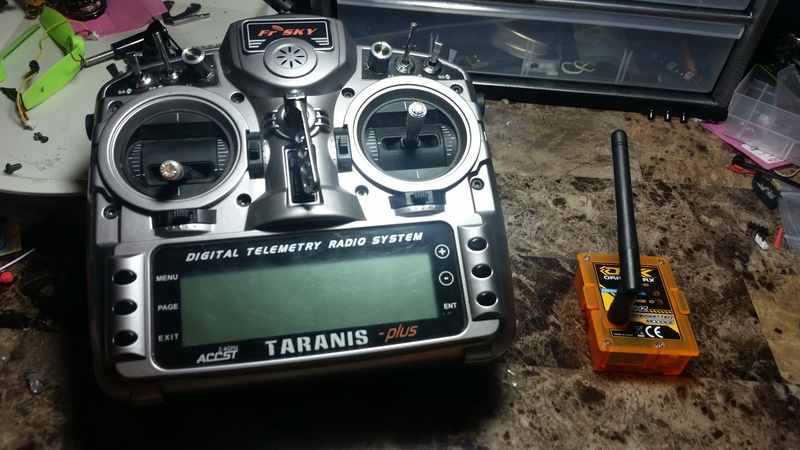 FRSky Taranis and Orange Module for DSM2. Download the .eepe file here. Elevator on Channel 3 and apply to it curve 1 (same curve for elevator and aileron works well for me, but maybe you want it to be a little bit different? You can see how this adds a nice expo to the curve so that it’s more intense at the extremes i.e. for rolls, and more docile towards the center. 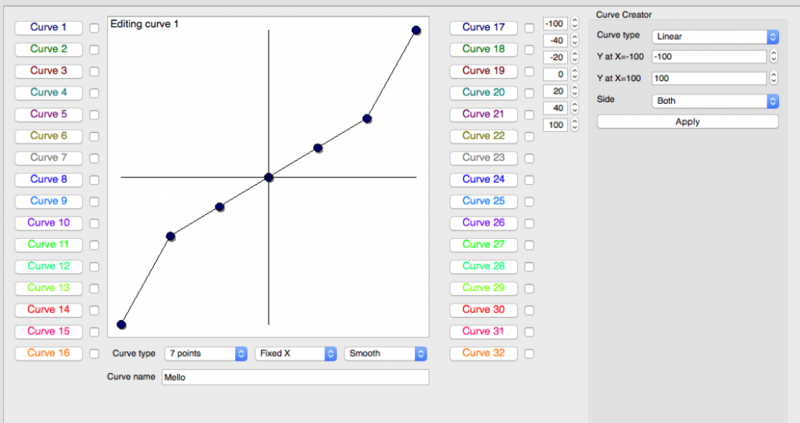 You can play around with this curve to suit your style, and make it even better for you. If you have any questions about the setup process, please don’t hesitate to ask. If anyone does, I’ll go through and make a video to help demo it out and make it easier to get it all set up. How does it fly now? Well. It’s 1000% better to fly. It still isn’t perfect, and I don’t think that it will ever be perfect without the ability to get in and change the settings on the board like in cleanflight. But, with these modifications, and setting up the Taranis like I have, I have made it very fun to fly. 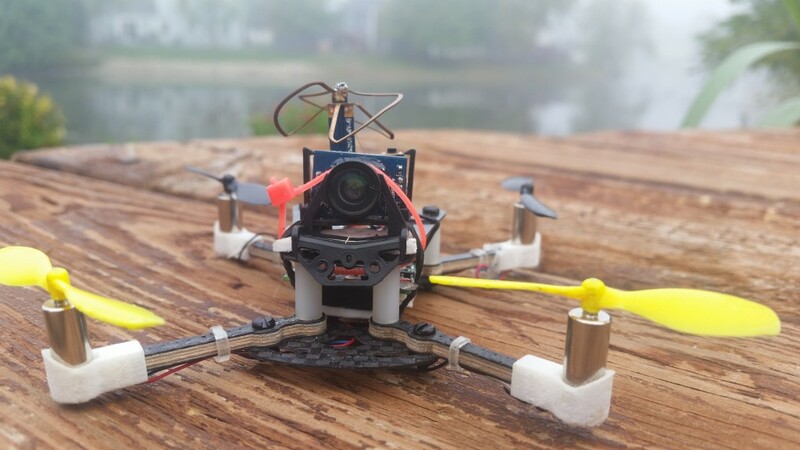 I can zip around corners, do barrel rolls and flips, and I can can have really fun flights wherever I want without worrying about accidentally hitting someone or something with my big 250 miniquad. It’s still a lot of gear to carry around, but it’s a lot of fun to fly! Here’s some DVR footage I took while out flying this rig! If you like it, please give me a subscribe on YouTube and check out my other stuff! What NanoQX modifications have you done? Post a picture of your NanoQX! I’d love to see it in action! You inspired me to do the same build! Flies great, but if you use nano qx 3D props it yields almost double the power compared to the original! It becomes an Acro beast! Wow! What a wonderful, wonderful event. It does the heart such good to see the “heroic love”, as you so aptly describe it. Cheers and congrats to the new family! Dear Bob Ingle,Are you sure your email address on the sopranostate website is correct? I tried emailing you twice with it and both times my patriot media cable email rejected it at the server. Maybe the patriot media people are just corzine party hacks? Great information. I need more time to digest. I do think i try to convert mine this winter. I know it’s a lot to ask, but when you do your modifications, you should come back and post some pictures of your quad! To be honest, I bought the one that I use on eBay and that item is no longer listed. I found this on hobby king, and someone in the comments said that they use it with their Taranis. I bought a pre-owned DX4e so that I can harvest the Spektrum Tx from it. Intially I wanted to get the OSHPark board but then settled for buying a pre-built board from RCGroups. Lots of people on RCGroups buy the three boards (minimum order requirement) and then sell the remaining two. Infact there is a seller right now who is selling everything you need except for the Tx module. Thanks for your input on that! Hopefully it helps Taras! Love this post. Saving it for reference. 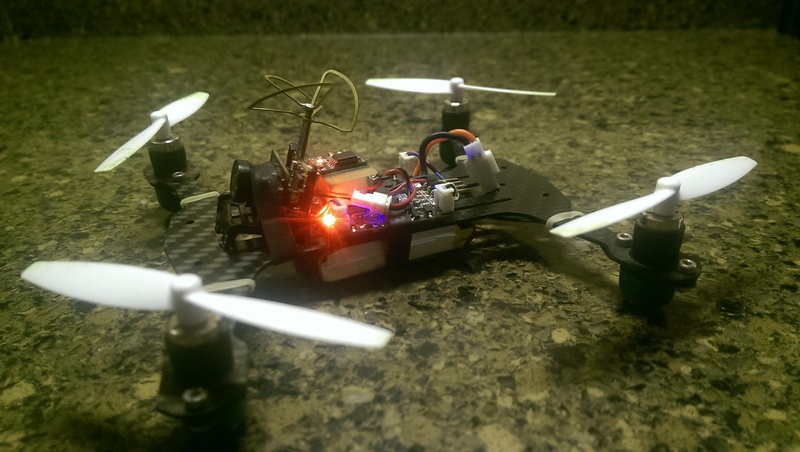 I recently bought a Nano QX FPV and love it to bits. I am using it with a ground station that I built using a Bosscam RC832 reciever. Yesterday I replaced the stock antenae with VAS 5.8GHz 9.5dbic 5 turn Helical Antenna Soft Feed RHCP (old stock) that I got at a discount ($9). However my range has been dissapointing. I lose video pretty much as soon as the quad moves to the second floor. Outdoors, I lose it at around 20 ft. I don’t know what I am doing wrong. I’m glad you liked the post! I appreciate your comment! The range SHOULD be more than that for sure. 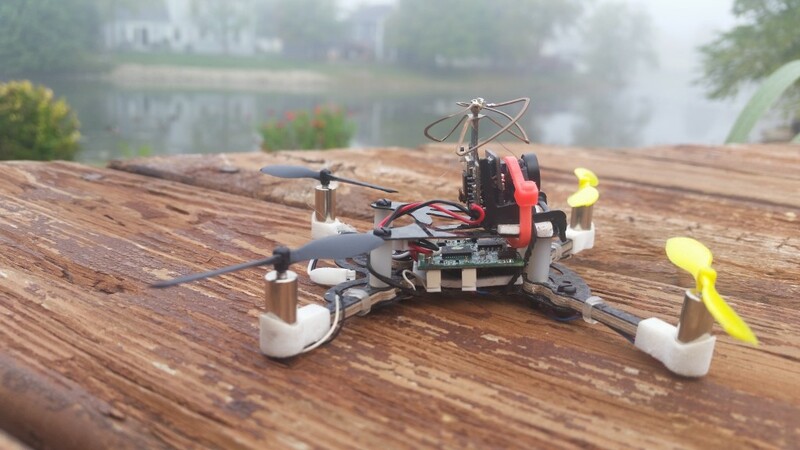 When I run a similar setup, I am able to fly all the way throughout my house without too much trouble, and I can get at least a soccer fields’ distance away without too much visibility hinderances. Are you 100% sure you’re on the proper channel? Sometimes you can see some bleed over from another channel, but see just enough. The symptoms would be consistent with that. Maybe try a different band or channel to see if it’s right. IIRC, you want to be on Frequency 4 (the first number would be 4) and then the channel would be whatever channel your VA1100 is on. Thank you for the detailed reply. I think the Frequency could be the problem. I am not too sure what I am on but my Rx display shows 22, so I am guessing on FR2 and should be on FR4? Fatshark Frequencies have 5760 as a possible frequency and that IS their second frequency. So rather than listening to 5760, you’re listening to 5745, which would mean that you are a few Mhz off. Since it’s such a low-power transmitter, it could explain why you’re missing it. FR4 – Chanel 2 (42) would be the Fatshark Freqency. I dunno — but this sounds like it could be it! What are you using as your DVR? Ah I’ve been meaning to make a post about this. Maybe this week I can do that finally as this is a good motivator. I need to do some more flying with the DVR to get some more footage. It’s basically a capture card I bought off amazon (much like an Easy Cap) and a second VRX. Thank you. I am very interested in knowing what your setup is like. The Nano QX flight vid looks pretty good. I’ll let you know when I post it! I really should set up some sort of email subscribe button or something. Is your Taranis file for OpenTX or for FrSky stock? I have the Taranis+ and a Spektrum DM9 module. The OrangeRX module I had didn’t work. The DM9 works like a champ and the antenna design is nice. It cost a lot more but it works and my OrangeRX didn’t. I am almost at a point that I would call “success” with the Taranis and my QX. I can fly and have fun but I have a constant yaw to the right that I have to fight. I have this issue with all my QX quads and I don’t have the issue with my older Spektrum DX6i. Bit frustrating! I am going to try out some curves this evening. I am still learning my Taranis!